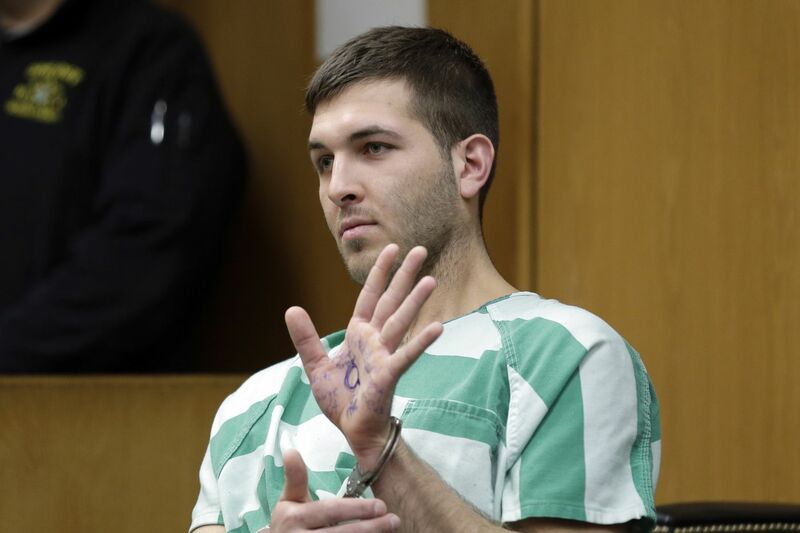 NEW YORK (AP) — As Anthony Comello sits in jail on murder charges, he may have more than legal problems to worry about — namely, whether the Mafia is going to get its hands on him. The man he is accused of killing was the reputed boss of New York's Gambino crime family, Francesco "Franky Boy" Cali, and for that, Comello is almost certainly marked for death by the underworld. And it makes no difference that the slaying may have been unconnected to mob business and stemmed instead from a romantic dispute. "Somebody's going to try to get him," predicted Selwyn Raab, author of "Five Families: The Rise, Decline, and Resurgence of America's Most Powerful Mafia Empires. "It is part of the Mafia code." Comello, 24, has been behind bars in New Jersey since his arrest there last week on charges he gunned down Cali outside the mobster's Staten Island home. He is expected to be brought to New York City for a court appearance on Monday under tighter-than-usual security measures that underscore the mob's bloody track record for vengeance. "We asked for protective custody and he's been given that," said Comello's attorney, Robert Gottlieb. "The reason is obvious." New York City jail officials would not comment specifically on Comello. But inmates in danger of reprisals are typically housed separately and watched more closely. "We review each case on an individual basis and take all necessary precautions," Correction Department spokesman Jason Kersten said. Authorities say Comello lured Cali out of his house on the evening of March 13 by smashing his truck into Cali's parked car. After speaking calmly for a few moments, Comello allegedly drew a 9 mm handgun and pumped several bullets into Cali's body in a scene captured by security cameras at the home. Unlike previous Gambino bosses, including the swaggering "Dapper Don" John Gotti, Cali, 53, was a deliberately low-profile gangster. Comello's background is more obscure, but there has been no allegation he is connected to the mob. The motive for the shooting remains under investigation. News reports have said Comello told investigators that Cali had warned him to stay away from a female relative of Cali's he was interested in romantically. And then there was Comello's bizarre behavior during his initial court appearance. He smiled inappropriately at times and flashed a hand scrawled with such slogans as "MAGA Forever," a reference to President Donald Trump's Make America Great Again motto. Weeks ago, he tried to make a citizen's arrest of New York's mayor, police said. "I don't need to clear my name," he told the Daily News in a brief and cryptic jailhouse interview. History suggests that even if the killing involved an ordinary civilian who didn't have a beef specific to the mob, the Cali killing put a big target on Comello's back. Exhibit A: John Favara, a neighbor of Gotti's who accidentally struck and killed Gotti's 12-year-old son with his car in 1980 while the boy was riding a minibike. Five months later, Favara disappeared and was never seen again. Prosecutors later said Gotti ordered Favara killed. An informant reported that the body was dissolved in a barrel of acid. Then there's the case of James "Whitey" Bulger, the ruthless Boston crime boss and government informant who was beaten to death at a West Virginia prison last year. Among the inmates suspected in the attack: a former Mafia hit man who was said to hate "rats." The way Comello allegedly killed Cali — gunned down right outside the home where he lived with his family — would have violated strict rules of respect set down by the Sicilian faction now in charge of the Gambino family, Raab said. "For them, it's the ultimate insult," he said. "It can't be excused just because he's a screwball. ... He'll be a marked man the rest of his life."